There is nothing stationary about greeting card packaging. What started as a simple bag with re-sealable closures has evolved with the ever changing needs of the market. 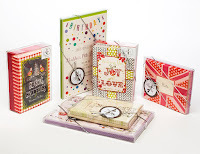 Here is a quick look at how we have seen greeting card packaging evolving over the past 20 years. 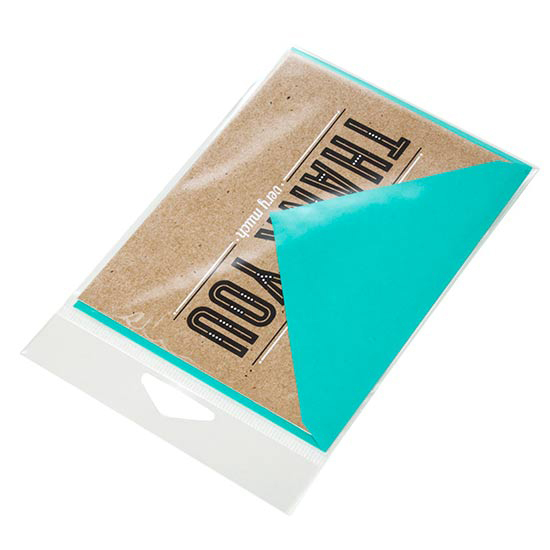 As we said above, greeting card packaging really began with the simple flap seal bags. 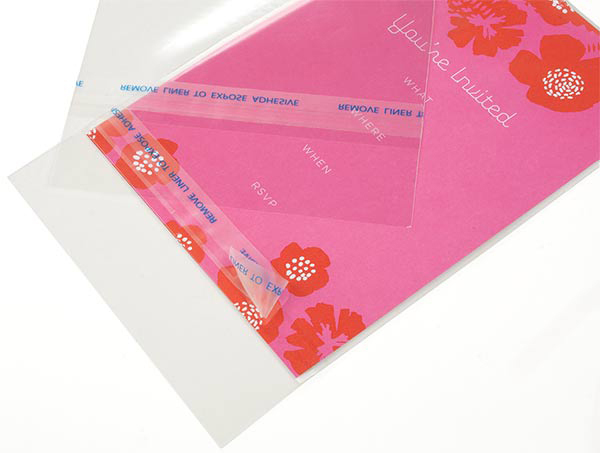 Card sellers would slide the card in, peel the adhesive, close it up and be done. We discovered that in addition to protecting stationery from fingerprints and spills, there was a need for a bag that would also allow the card to be pulled in and out of the bag, without having to open it. Thus, the no flap bag was born. We then started receiving feedback from our customers that were packaging artwork. They also needed protect their artwork with a re-closeable bag, and at the same time, they wanted to ensure that their artwork wouldn’t come in contact with the flap adhesive when pulling the artwork in and out of the bag. The protective closure bag achieved this purpose, as it has the adhesive on the bag itself, not the flap. 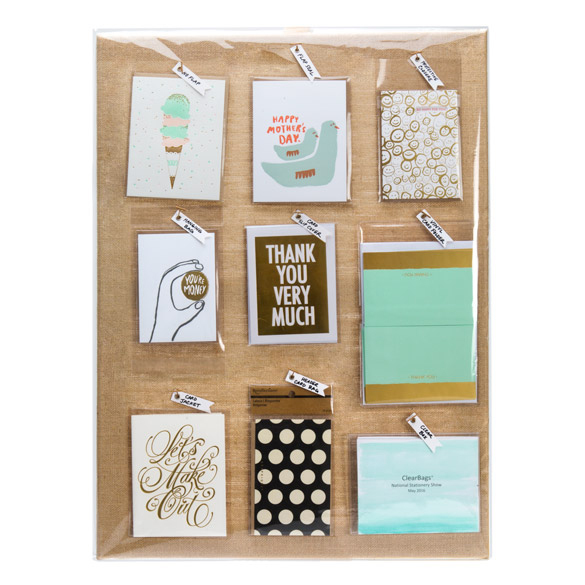 More changes to greeting card packaging came when a need arose for sellers to protect their creations from consumers pulling the card out of the bag to read the inside message, which caused the cards to get dog-eared and dirty. 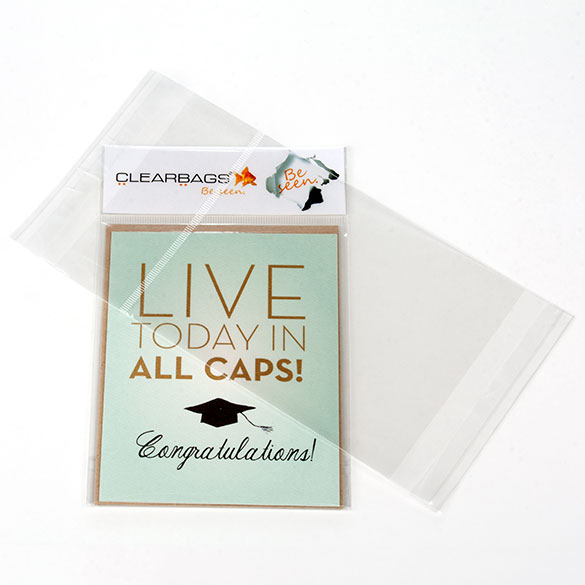 This was solved with card jackets that hold both the card and the envelope, and card slip covers that protect just the card, so that the card can be opened, read, and still remain protected. 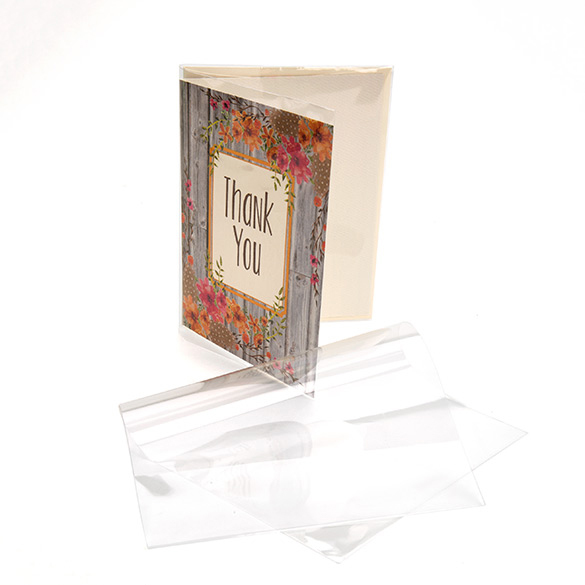 Taking that idea a bit further, card vendors asked for the same protection for a set of cards and envelopes, which is why the vinyl card folders were created. The folders work like a wallet, and hold a set of six cards and envelopes, allowing our clients to show four views of their card (outside and inside, front and back) in one package. 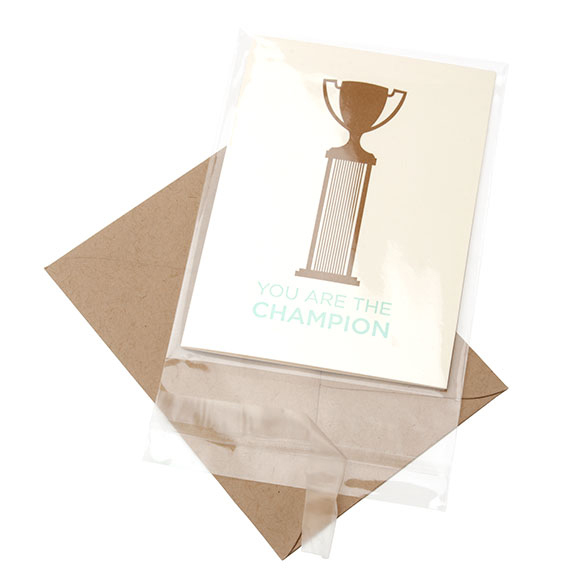 As greeting cards moved from sitting on retail shelves to being hung from peg displays, we moved into hanging bags and most recently, header card bags, where the seller can tell their story and add their branding on the header card, with the greeting card and envelope in a separate section of the bag in full, unobstructed view. And, that’s just the bag story. Showing creations in the best possible light has always been as important to our clients as choosing the right artwork, the appropriate message, and the right medium to express their design. 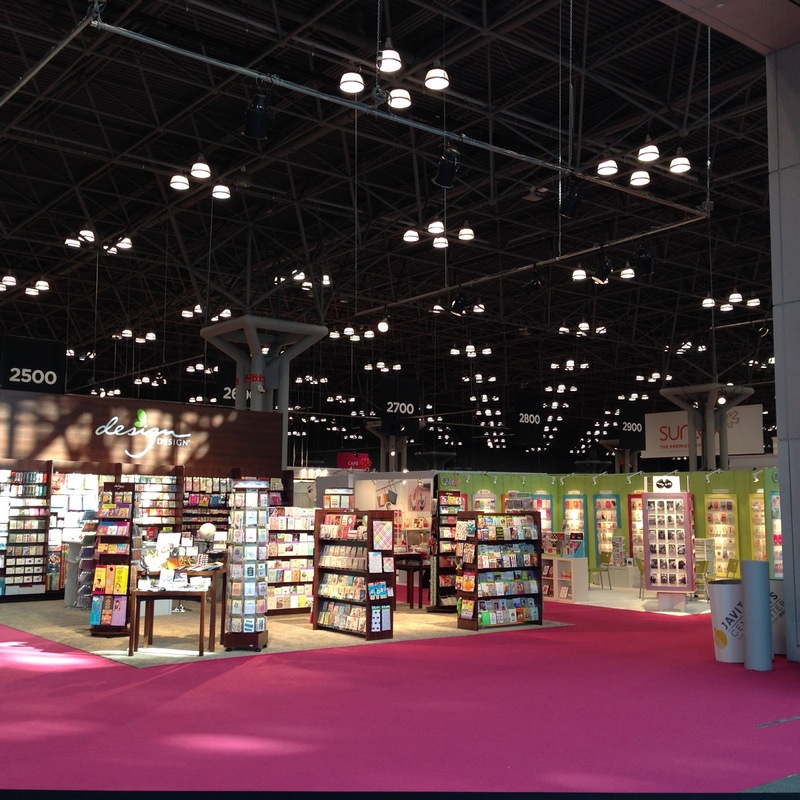 When we exhibited at the National Stationery Show in New York last month, we noticed that many exhibitors were looking for ways to differentiate their offering and to stand out from the rest of the greeting card sellers. Exhibitors had bright and colorful booths, others used wood, metal or layered paper designs to add a focus and dimensional quality to showcase their offerings. Many employed mood or spot lighting to create an atmosphere or to highlight their product. …but most still showed their product in clear, shiny bags. Though we’ve noticed that over the past little while, some have moved into using boxes for packing single and multiple card sets. There is a large selection of box options out there. We see a lot of one-piece boxes in clear and Kraft. 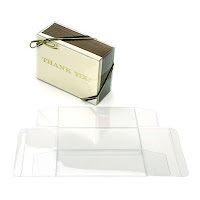 We see two-piece boxes with clear slide lids or clear box lids over colored box bottoms (with a lot of different bottom color options: metallic, matte, kraft, and clear). We also see hanging and non-hanging versions. Some companies have explored the full paper box option (which we offer through custom orders), but these are often very expensive when compared to the other bags and boxes we have been talking about. As an alternative, we have customers that have had good success in using clear boxes and adding their own colorful inserts to achieve the custom look of a printed box. 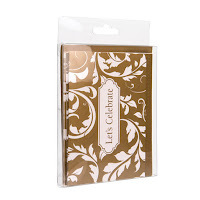 This adds the advantage of having a clear view of cards inside plus the convenience of boxes that ship flat, which take up less storage space and are less expensive to ship! So, there you have it. That is how we have seen greeting card packaging change over the last 20 years. 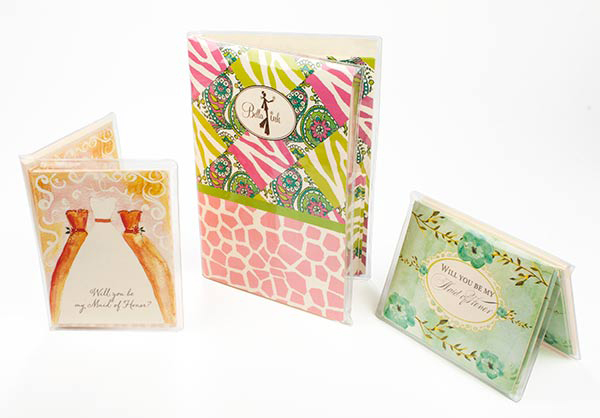 How have you evolved your greeting card packaging? Have you done anything different? We’d love to see what kind of inspirations you have to share and to imagine together where the stationery industry will go in the future. Share your inspirations with us by mentioning @clearbags on Instagram, by tagging @clearbags on Pinterest, or by commenting below.